UPDATE: On March 19, 2014 the Dartmouth VPN was upgraded to a new version. This was a minor change to both the VPN concentrators and to the JunOS Pulse client. 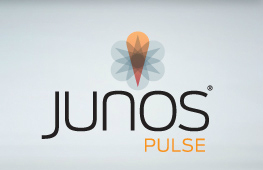 After the upgrade, users will be prompted to install a new version of JunOS Pulse when they next connect to the VPN. Please Note: There are known issues with the Macintosh version of this new VPN software. Please click here for more information. If you are having issues installing Junos Pulse, please call the Dartmouth Computing Help Desk at 646-2999 for assistance.